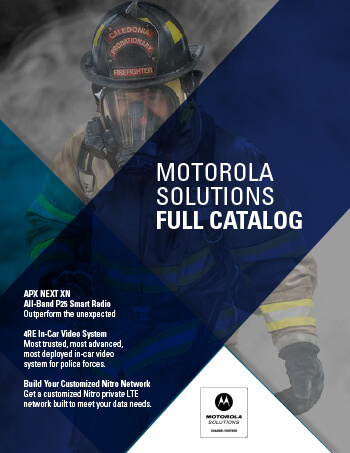 Mototrbo Connect Plus is the choice to accommodate wide area, high volume communication needs. Your work teams can not only talk to one another or the main facility, they can also use data applications to make their jobs more efficient and safe, including text messaging, location tracking and traditional dispatch or one-to- one calling capability. With enhanced communication between employees, you’ll see increased productivity and efficiency across your enterprise organization. Saia has recently added WAVE (Motorola TRBO Anywhere) to its Connect+ system and is now available to users on the connect+ system. WAVE allows interconnection to any smartphone from Saia’s Connect+ system. An added benefit Saia offers is self-maintenance of our sites and ownership of 90% of the towers we utilize. These tower sites include extensive grounding, backup electric service and self-maintained web based GPS in-house IT engineering and web server service. This results in the highest degree of communications network availability and reliability. Also, upcoming in the 3rd quarter will be WAVE (Motorola TRBO Anywhere) a smart phone interface that connects any “Smartphone” to your radio channel. When completed, you will be able to communicate from your smartphone to your fleet of radios as though you have an actual radio in your hand. High system availability with a dedicated control slot to quickly access voice and data communication during busy times. Automatic channel access as calls are queued during busy times until an open channel is available and you are automatically notified that you can complete your call. Fast access for those who need it most as you can assign most important users in a priority status to have fast access when the system is in a high demand. No need to change channels as you travel from site to site, dynamic site roaming automatically registers you to the nearest site so you stay connected. SaiaNet trunked radio system is the first wide area trunking network in Western New York. Using Saia’s network of 13 tower sites from Rochester to Buffalo to the Pennsylvania State border, the network provides seamless automatic roaming for 2-way radio dispatch and communications. GPS/AVL Fleet Tracking via any workstation connected to the Internet. Access to multiple tower sites within your operational region. Seamless, automatic roaming without radio operator intervention to switch tower sites as vehicles roam between towers. Homed radios can scan between talk-groups. ESN (Electronic Serial Number) registering of each radio reduces theft and others monitoring of your communications system. Radios get programmed over the air automatically as sites are added to the system. This eliminates the need to take a radio out of service for updates. P-T-T ID (Push-to-talk identification) standard with all radios. All radios in your fleet will know who is speaking. This will eliminating unnecessary chit-chat and horse play on your radio system. Lost or stolen radios can easily be disabled by a simple phone call to our office. Emergency “All-Call” broadcasts to all talk-groups or channels within your fleet. This enables dispatchers to get an urgent message out to all radios instantly across your fleet regardless of what tower they are using. Temporary or permanent cross-band connections can be accommodated to suit your need. Different conventional & trunking protocols can be patched into the system for outside subcontractors to communicate with radio units within the wide area network.